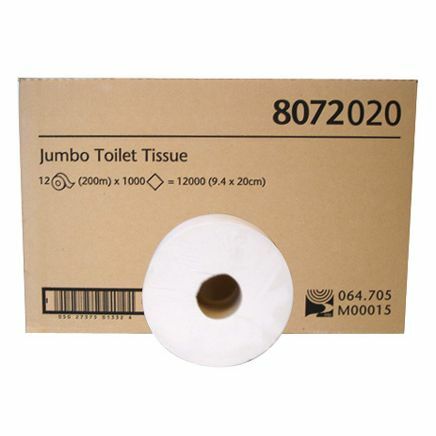 12 Rolls x 200m of Pristine Mini Jumbo Toilet Paper 60mm Core. Size: 20 x 95cm. 2-ply in White. 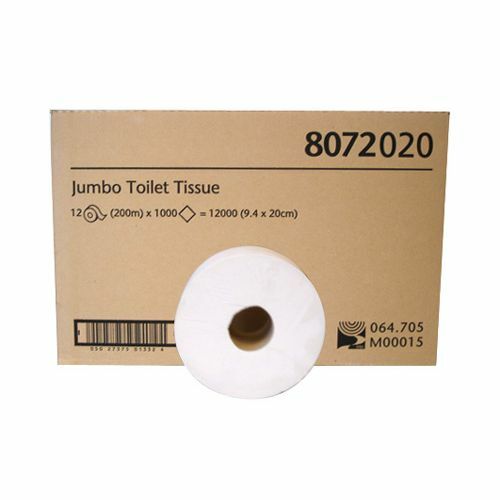 For use with dispenser no: 069406.